When Pandora picks up her older brother Edison at her local Iowa airport, she literally doesn't recognize him. The once slim, hip New York jazz pianist has gained hundreds of pounds. What happened? Soon Edison's slovenly habits, appalling diet, and know-it-all monologues are driving Pandora and her fitness-freak husband Fletcher insane. After the brother-in-law has more than overstayed his welcome, Fletcher delivers his wife an ultimatum: it's him or me. 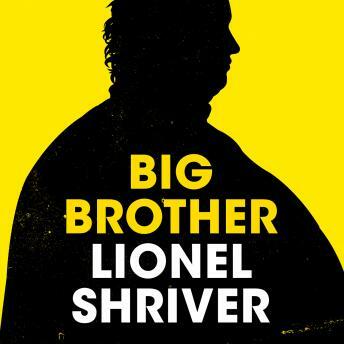 Rich with Shriver's distinctive wit and ferocious energy, Big Brother is about fat: why we overeat and whether extreme diets ever really work. It asks just how much sacrifice we'll make to save single members of our families, and whether it's ever possible to save loved ones from themselves.